Who else loves a quick, easy, and pretty much fool proof recipe? They’re my very favorite. Add a holiday element to them and you’ve got me hooked. 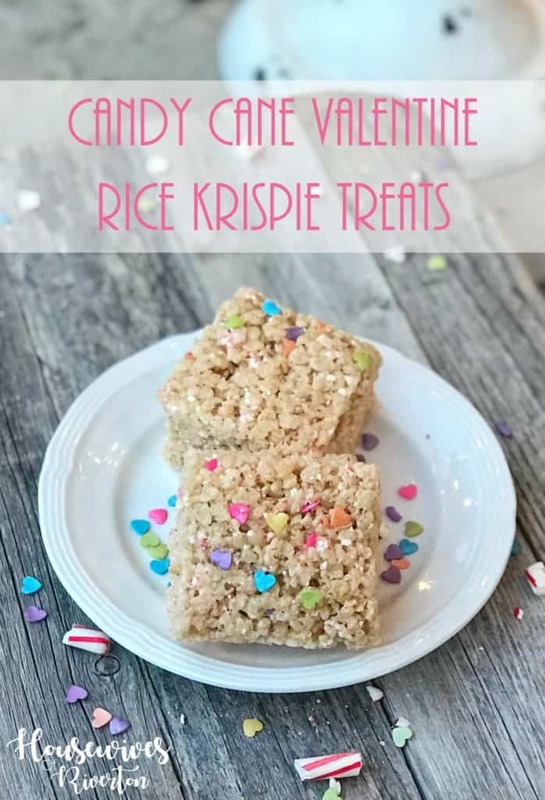 That’s how my Candy Cane Valentine Rice Krispie Treats recipe was born. If you’ve followed our blog for long you have probably learned I am completely addicted to candy canes. 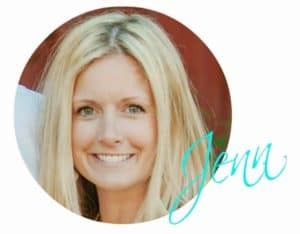 I have created a variety of recipes using them and try to always have some on hand (and by some I mean there are currently 8 boxes in the pantry) because few things make me happier than a cup of candy cane hot chocolate or our delicious candy cane chocolate cookies. If you’re like me and you love any excuse to break out the candy canes keep reading! Prepare Rice Krispie Treats as usual. Once everything is well mixed add candy cane and sprinkles (the amount of candy cane is up to you and how much you like candy cane flavor, I used a lot…obviously). Spread into a 9″x 13″ lightly greased baking dish. Because of the added sugar in the candy canes these are best served the same day you make them, be sure to keep them in an air tight container. We all really enjoyed these. 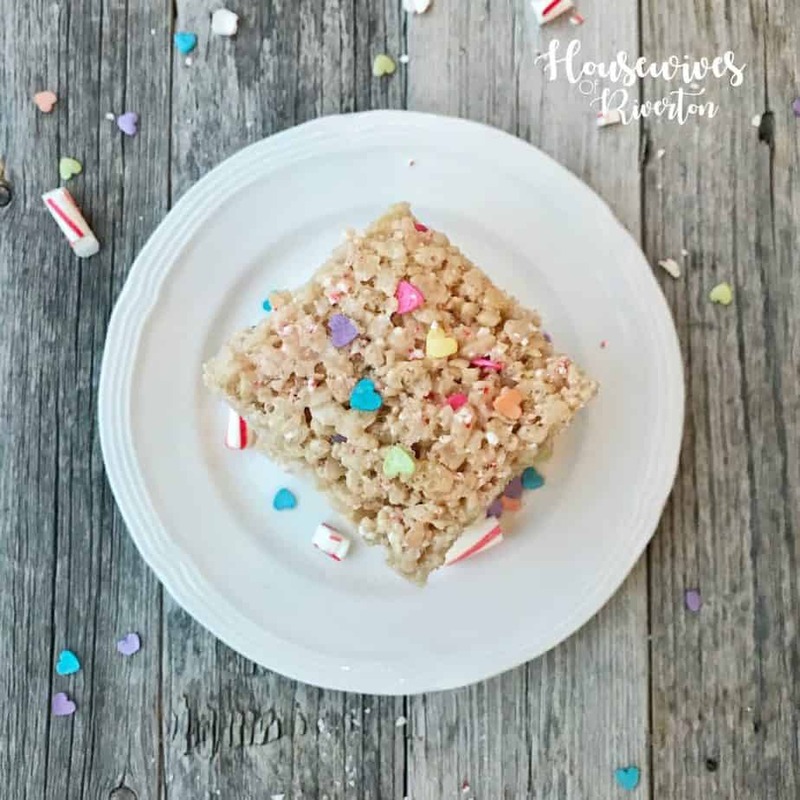 They were super simple to make but fun because they were different than just a regular rice krispie treat. I can only imagine they’ll be pretty fun with some red and green sprinkles at Christmas time and of course pairing with a nice cup of hot chocolate is always recommended! I hope you enjoy this recipe as much as we did! 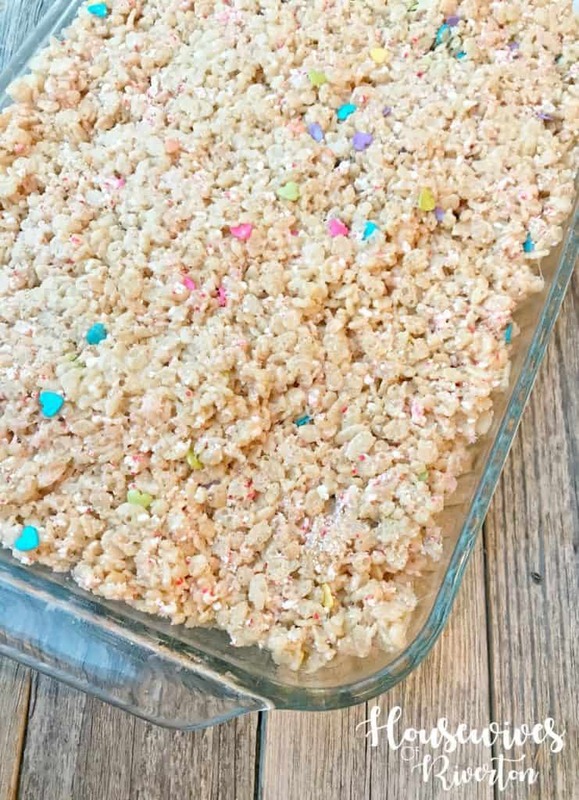 If you have a favorite rice krispie treat recipe make sure you share it in the comments below!